3 Bedroom Detached For Sale in Ryde for Asking Price £340,000. This historic cottage was once one of 5 working farms in the village & dates back to 1681. Set in a picturesque 'wrap around' garden, this quaint cottage benefits from far reaching country views. 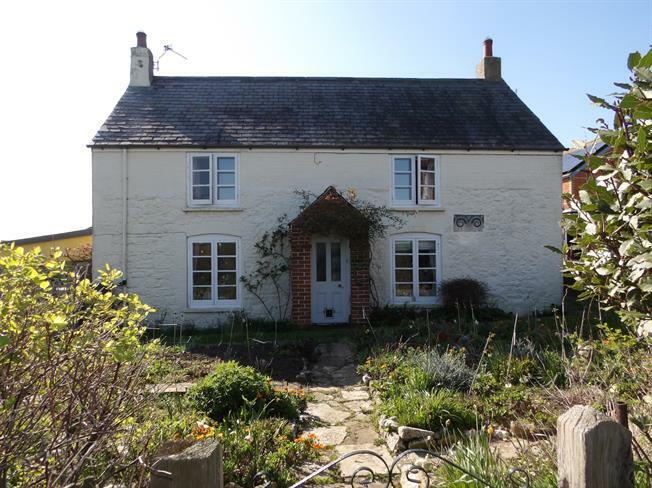 Internally the cottage is in need of modernisation but offers 2 good size reception rooms, kitchen, shower room, utility room & a pantry to the ground floor. Upstairs you'll find a very large master bedroom & 2 smaller bedrooms, all with country views & even a partial sea view. Period features abound in this cottage from the wooden beams, fireplaces, exposed brickwork, farmhouse doors & more. The garden has a productive vegetable plot, soft fruit bushes, apple trees & a small pond. Just next to the garden is a modern garage & drive for 2 cars. This charming home has so much character & once restored will be a centrepiece in the village. St Helens is on a bus route & is just 10 minutes outside Ryde with the beach at Duver just a 5 minute walk away.